Pope Pius X: "Now they want miracles, too?" 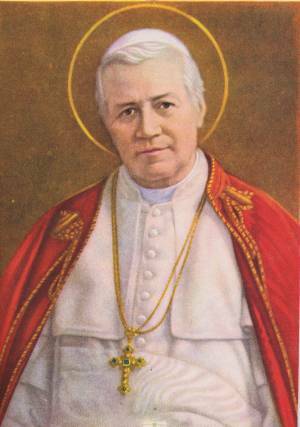 Today Holy Mother Church celebrates the feast day of St. Pius X, the 258th Pope to serve Holy Mother Church. He served during the years of 1903 and 1914. I have enjoyed reading some stories about him, and wish to share just a few with you now. Pius was a lighthearted man and we need to pay attention to that. But he also put the emphasis on the right stuff. Pius fought movements in the Church that were modernizing in nature, and he was a huge proponent of Gregorian chant. He also can be credited with moving First Communion into a person’s early age, rather than his teenage years.